Caution: Danger of suffocation for plastic bag bills in the Virginia General Assembly! See Friends of Accotink Creek General Assembly letters & testimony in support of plastic bag bills. Find your Virginia legislators HERE, and let them know you support anti-litter bills. 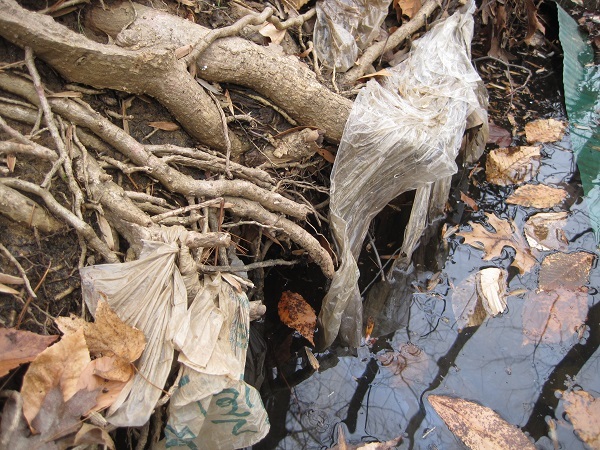 The Friends of Accotink Creek urge your support for HJ597, HB2095 , HB2159, SB193, SB1070, and SB1116, to control the sale of disposable plastic bags. We strongly endorse and support efforts like this to reduce trash in local watersheds. As a Virginia legislator, we encourage you to support the work of your many constituents who participate in stream cleanups, by voting for these bills. Let's get the bags out of Accotink Creek!